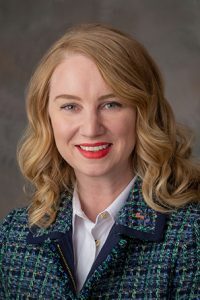 LB503, sponsored by Omaha Sen. Megan Hunt, would remove a current requirement that a physician be physically present to administer the first of two medications used in a medical abortion. The second medication typically is taken by the patient at home at a later time. Telehealth services are revolutionizing the way people receive care in our country, Hunt said, bringing down costs and expanding the reach of quality care for those restricted by geographic barriers. She said that under current statute, all treatments and consultations that do not involve a physical procedure can be performed through telemedicine, except for medical abortion. Elena Salisbury spoke in support of the bill. Omaha, Lincoln and Bellevue currently are the only cities with clinics that provide abortion services, Salisbury said, which means a woman in the western half of the state might have to travel up to 450 miles to receive services. Also speaking in support of LB503 was Chelsea Souder, representing AbortionClinics.org. She said that allowing women to seek abortion services through telehealth would give them the autonomy and self-determination to thrive in their own lives. “Ensuring that people seeking abortion can do so safely and under the direction of medical professionals, using evidence-based practices, is vital to truly ensuring the well-being of pregnant people in this country,” Souder said. Speaking in opposition to the bill was Darrell Klein of the state Department of Health and Human Services. He said the physical presence of a physician is the only way to ensure patient safety. “The department opposes the bill because the lack of a trained physician in the room when the procedure is being performed diminishes patient safety and increases the chance of injury, illness or death of the patient, thereby causing increased risks to the public,” Klein said. Marion Miner, representing the Nebraska Catholic Conference, also opposed LB503. Miner said that the people of Nebraska have made it very clear that they do not want to see the “liberalization” of the state’s abortion laws.